It’s December and the holiday season is upon us. Please don’t let yourself get too stressed during this time of year. Take a few moments out for yourself, perhaps by reading one of these books that are available this week. Val McDermid is a legend. Period. Fans of her Karen Pirie series know to expect a deep-dive into the past with this historical crimes division. Broken Ground is the strongest book in this series yet with some of McDermid’s most evocative writing, a wonderfully executed plot, and those characters that we have all come to love. In Broken Ground, cold case detective Karen Pirie faces her hardest challenge yet. 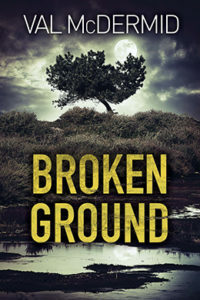 An engrossing, twisty thriller, Broken Ground reaffirms Val McDermid’s place as one of the best crime writers of her generation. Matt Coyle’s PI series continues to become more noir with each new entry. Wrong Light, the fifth, is one of the strongest in the series. Those following along will know that Rick has his issues and his debt to the Russian Mob is about to come to the forefront. 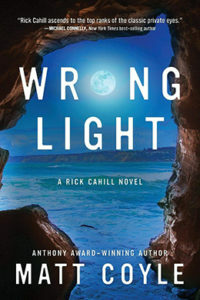 Coyle excels at weaving dual storylines together in seamless ways and his depiction of the San Diego setting is a refreshing change from the standard California locales. 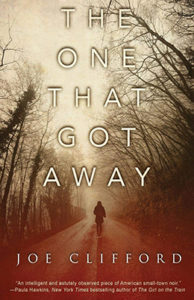 Joe Clifford’s strength has always been in crafting complex characters that readers truly care about, so it is no surprise that this trend carries on into his first stand-alone psychological suspense novel. 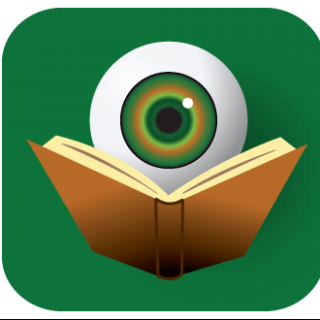 This is an author who writes with pin-point accuracy never elaborating on things unnecessarily, but always managing to get to the core of his characters and ripping out the heart of his readers. This new direction into psychological suspense is sure to bring countless new fans to the Church of Clifford.